"This is such a great competition for the participants and the audience. 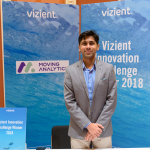 It is a unique opportunity for interaction between the innovators and hospital experts on new products that have the potential to improve the quality of care and the health care experience for patients"
IRVING, Texas--(BUSINESS WIRE)--Vizient, Inc. today announced Moving Analytics as the winner of its 2018 Innovation Challenge, an interactive competition between four early-stage growth health care companies. The competition was held on Wednesday, Oct. 3, during the opening session of the Vizient Clinical Connections Summit in Las Vegas. The Innovation Challenge is an interactive pitch competition that offers a unique opportunity for health care startup companies who are revenue producing and have market traction but still in the early growth stages of their business. This year’s competition featured finalists in virtual care/remote monitoring and care coordination and communication domains. Each finalist gave an eight-minute presentation then answered questions from an expert panel that included the chief executive officers from two Vizient member hospitals, an investor and Vizient’s President and CEO Byron Jobe. 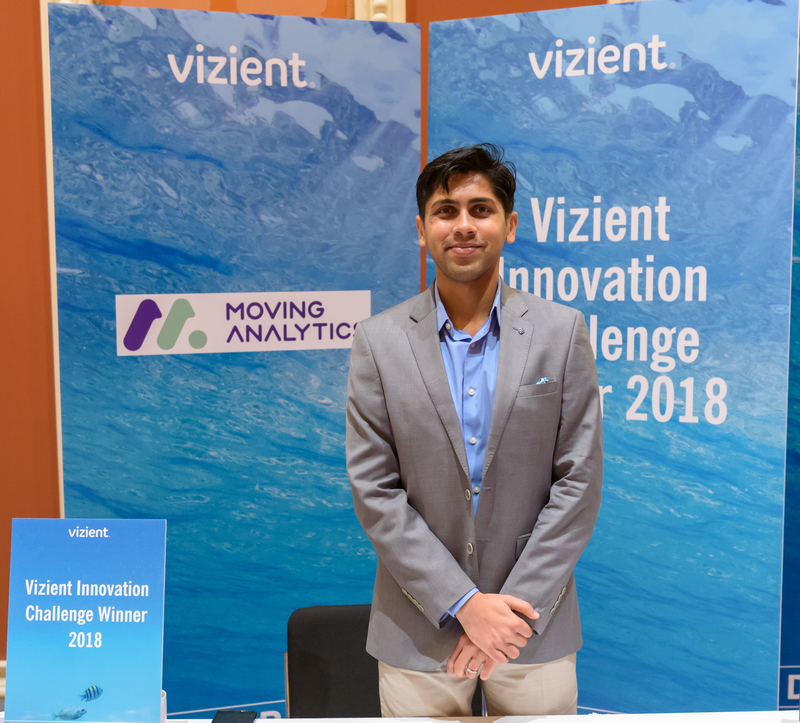 At the conclusion of the presentations, the audience of roughly 2,000 health care professionals attending the 2018 Vizient Connections Summit voted and selected Moving Analytics as the winner of the 2018 Innovation Challenge. Moving Analytics is a digital cardiac rehab and secondary prevention program for cardiovascular disease. The program is designed specifically for low to moderate risk patients with CAD or CHF and comorbidities like diabetes and COPD, at one-fourth the cost of current care while three times higher in participation of current care.